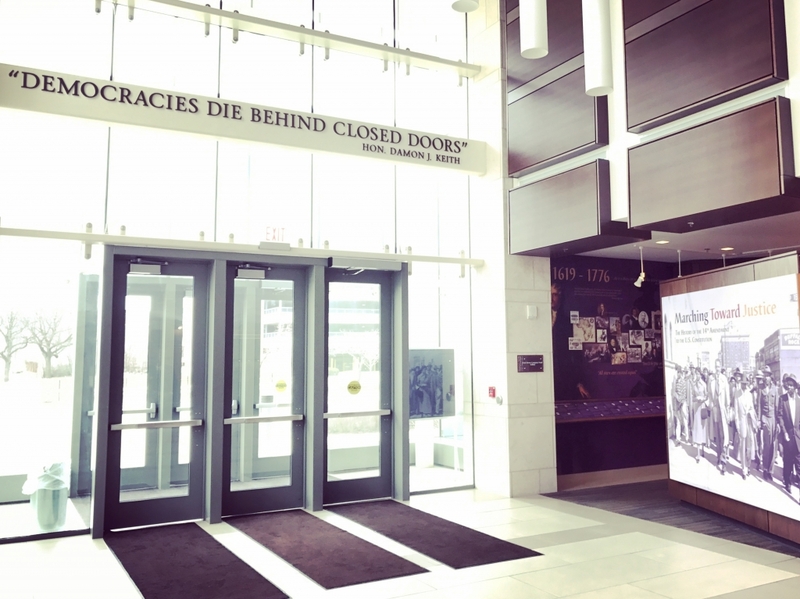 The Damon J. Keith Center for Civil Rights on Wayne State University’s campus does a phenomenal job with community engagement and programming for the youth of the city of Detroit. These components are what drew us to work with the Keith Center on our impact project. As we began our project, we identified 3 main pain points that the Center’s Director, Peter Hammer, expressed: inconsistent communication methods, lack of personnel, and limited funding (not uncommon for nonprofits). Through many conversations we discovered that before we could focus on the City of Detroit’s youth, we needed to address the concerns of Wayne Law students. Empathy is a great tool for identifying what underlying pain points an organization has. We went in with the intention of focusing on the programming for high school youth, specifically the Youth Civil Rights Conference, but found that the student organization, Keith Students for Civil Rights, had the task of coordinating the entire conference without a dedicated staff member to assist them (lack of personnel). Students are more than capable of putting together an entire conference, but with many students having competing priorities, the work with the Keith Center (which is on a volunteer basis), is what students cut. We delved into the student experience and found that students “did not feel supported.” Students felt that the Keith Center could support underrepresented, first-generation professional students a little more by providing more guidance on things such as connecting with mentors, understanding fields of law, picking classes, navigating the hidden curriculum, professionalism, and even identifying student organizations. A student expressed that as a first-gen professional, she didn’t have anyone in her family or immediate circle that could relate or assist her with navigating law school. A number of Wayne Law and WSU faculty and staff, expressed the same sentiment saying “historically student support has been initiated by students, but it shouldn’t be like that – (student support) should be institutionalized.” Feeling unsupported was so important to the students that one stated, “Recruitment and retention for minority students is non-existent at Wayne Law.” The students should be at the forefront of everything the university does, and we wanted to make sure that their voice was heard. Although we mainly spoke to Wayne Law students, undergrad students mirrored these concerns, but also added that things have gotten “a little better” in recent years. With this information, we decided to brainstorm different ideas and prototype ways that we could address these needs, some immediate and others more long term. A plethora of ideas were thrown into the circle, but we only developed ideas that were feasible and the students felt good about. One of our two immediate recommendations is a 1L Toolkit that is an experienced-based resource geared towards new law students. This package includes resources, organizations, and even a template for an academic plan that students can personalize based on the field of law they are interested in. Another of our main ideas is to create a standing long term planning committee with student representation so that students’ concerns are voiced when decisions are to be made. This is important because if the students won’t benefit from the Keith Center’s work, the Center will be missing a community of students right under their noses who could greatly benefit. We believe that these two recommendations along with others, will not only address the students concerns, it will also give them the support they need to be able to dedicate some of their time to running youth programming, which is what drew us to the center in the first place.